A local lawyer is appointed to represent James Alex Fields because a relative of someone in the public defender's office was among those injured. CHARLOTTESVILLE, Va. – A man accused of ramming his car into a crowd of counter-protesters at a white nationalist rally in Virginia was denied bond Monday after the public defender’s office said it couldn’t represent him and the judge was forced to find a local attorney to fill in. 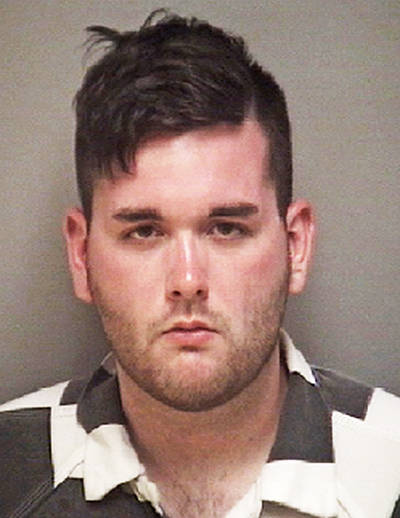 James Alex Fields Jr. was not present in the courtroom but appeared via video monitor dressed in a black-and-white striped uniform. Seated, he answered questions from the judge with simple responses of “Yes, sir” when asked if he understood what was being explained to him. Fields also replied “No, sir” when asked if he had ties to the community of Charlottesville. Judge Robert Downer set an Aug. 25 hearing for the 20-year-old Fields, who has been charged with second-degree murder and other counts. Downer said the public defenders’ office informed him it could not represent Fields because a relative of someone in the office was injured in Saturday’s protest. He appointed local attorney Charles Weber to represent him. Weber couldn’t immediately be reached by The Associated Press. Fields is charged in the death of Heather Heyer, 32, of Charlottesville, who died after a car that police say Fields was driving slammed into a crowd of people protesting the nationalist rally Saturday. Fields was arrested shortly afterward and taken into custody. Fields was fascinated with Nazism, idolized Adolf Hitler, and had been singled out by school officials in the 9th grade for his “deeply held, radical” convictions on race, a former high school teacher said Sunday. Fields also confided that he had been diagnosed with schizophrenia when he was younger and had been prescribed an anti-psychotic medication, Derek Weimer said in an interview with The Associated Press. 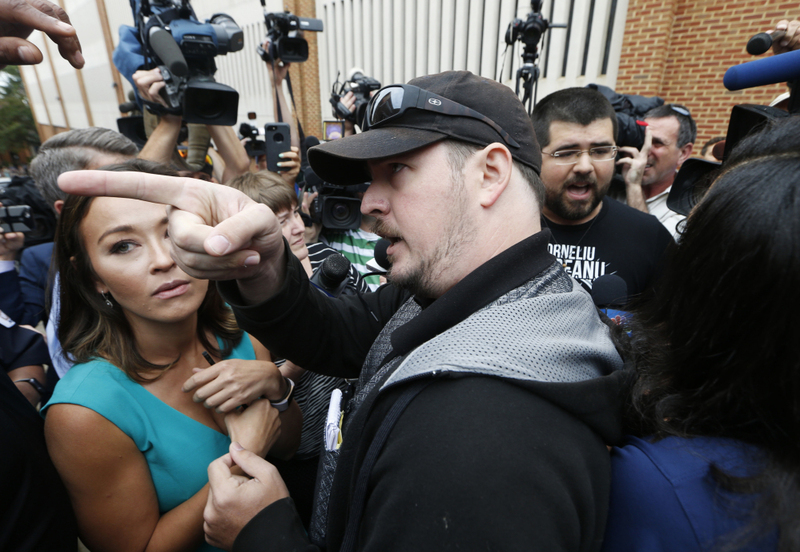 Fields had been photographed hours earlier with a shield bearing the emblem of Vanguard America, one of the hate groups that took part in the “take America back” campaign to protest the removal of a Confederate statue. The group on Sunday denied any association with the suspect. The mayor of Charlottesville, political leaders of all political stripes, and activists and community organizers around the country planned rallies, vigils and education campaigns to combat the hate groups. They also urged President Trump to forcefully denounce the organizations, some of which specifically cited Trump’s election after a campaign of racially charged rhetoric as validation of their beliefs. Attorney General Jeff Sessions announced late Saturday that federal authorities would pursue a civil rights investigation into the circumstances surrounding the crash. This story has been edited to clarify who participated in the white nationalist rally and who posted the message promising future events.